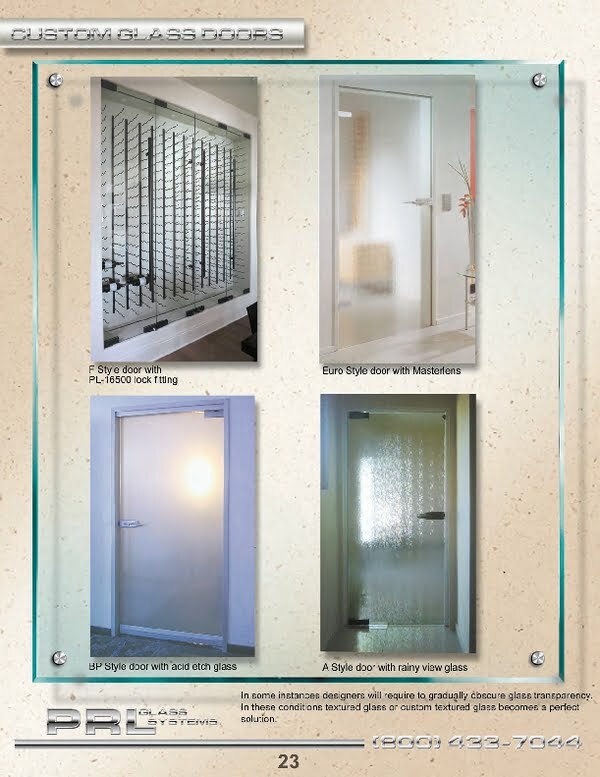 Tempered Textured Glass Doors From Elegant to Ultra-Secure. PRL custom tempered textured glass doors bring an innovative alternative to the entry door market. We offer various textures and styles, from elegant to ultra-secure. You can incorporate uniqueness and strength with any door system. 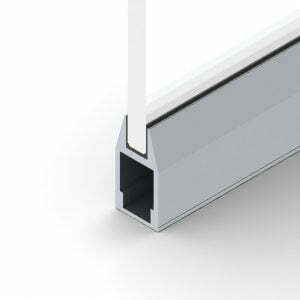 We carry a large variation of tempered glass, hardware and metal rail styles. With PRL custom entry doors you can be sure that you have the best entry door in the market. Our mission is to provide a high-quality finished product ready to install. PRL glass doors come in a wide variety of styles and textures of glass. Our stylish door designs will compliment any decor with a framed or all glass look. We will provide you with all the glass, metal and hardware required for an easy installation. Any customized tempered textured door can be manufactured to accommodate specific size requirements. When it comes to custom entrance systems PRL Glass is your best choice. Simply supply us your tempered textured system specifications and let us take care of the rest Toll Free 800-433-7044.